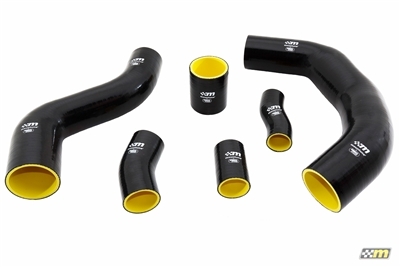 mountune's high performance silicone hose range caters to owners who demand simply the best high performance silicone hose upgrade available. The mountune boost hose upgrade kit for the Fiesta ST consists of six hoses manufactured with 3-ply Nomex fabric to ensure flawless performance in extreme conditions. This kit is compatible with the mountune intercooler upgrade or the original Fiesta intercooler and is an exact replacement for the original parts. Please specify color when ordering.